There seems to be two common questions by guests to the alley project. The first is almost always an inquiry on what we had to do to get our alley paved. 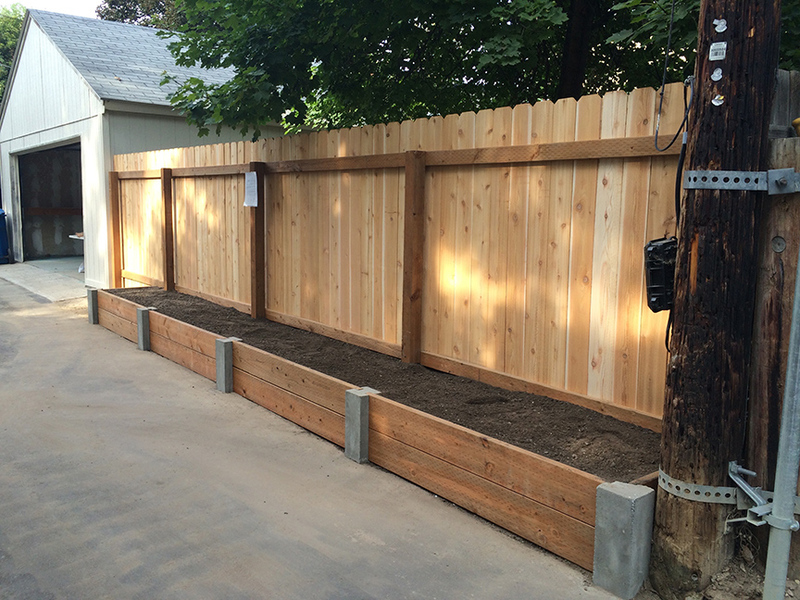 A close second is where did we get the cool concrete posts for our raised beds. I have to give credit where credit is due here. This whole alley project wouldn’t have happened without my husband and his wicked construction skills. It’s one thing to have ideas but where the work really takes place is in making them come to fruition. My dreams of the alley would still be just that if it wasn’t for Devin. Thank you honey. I have promised so many people that we would get a post up on the website about how we made these posts. It took this long because writing the instructions was almost harder than making them. Almost. Good luck and let us know if you have questions. 1) Determine size of post. 2. The post should extend into the ground at least as much as it extends above the ground. In our example, we used about 24˝. 2) Cut materials for sides, top, and recessed bed sides. In this case, we also built our posts with a notch below ground to enable the bed to fit snuggly up against the pavement. a) For the recess to accept the bed sides, we cut material 1 1/2˝ deep and 1/4˝ wider (1 3/4˝) than the 2 x 10’s used for the bed sides. 3) Build 2 halves of each form. You can use nails, staples or screws since you won’t have to take these sides apart to release the post. In this picture (above), my awesome hubby is applying the board that creates the recess in the concrete to accept the bed sides. 4) You will need at least 2 corner posts (if you’re hooking the other 2 corners to a fence or fixed surface – 4 corners posts if this is freestanding). Number of side posts will be determined by how long your bed is. Keep in mind that if your span gets too long, the boards will bow so a shorter span is preferable. a) For side posts make sure the recess is centered in the form on opposing sides. 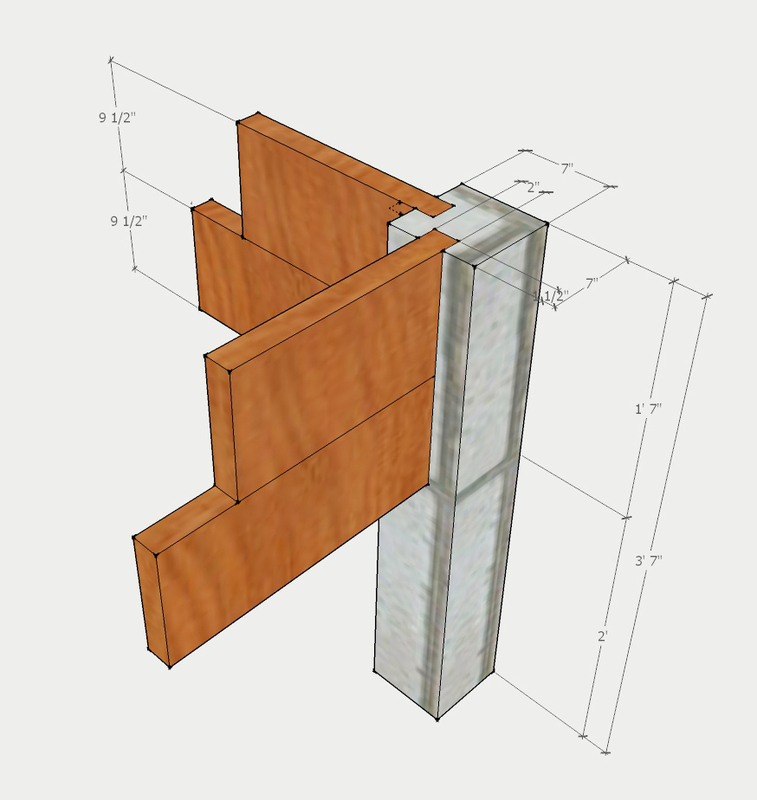 b) For corner posts, apply the recess post centered in the form on adjacent sides. 5) Here is an example of a side post where you can see the recessed thingamabober on opposite halves of the form and the material we used to create the notch which allows us to get the post up snug against the asphalt. 6) Brush the inside of two halves liberally with cooking oil and then secure together using screws so you can separate the halves later. Apply cap to the top of the form as we’ll be pouring the concrete in from the bottom. This gives a nice, smooth post top. 7) Mix reinforced concrete, keeping it on the thin side. Fill form. 8) Insert rebar into form – we used two pieces per form about 6˝ shorter than the post was in length. a) Tie wire on end of rebar to keep it from sinking all the way to the bottom of the form. 9) Depending on the conditions, concrete can take up to 10 days to cure. The longer you keep it in the form during that curing time, the better results you’ll have. 10) Unscrew form halves and carefully tap to remove. 11) Dig holes and place posts in. We mixed a small amount of concrete to put in the bottom to hold the post in place, filling the rest of the hole with dirt. 12) Measure length from inside one notch to inside of the other notch and cut your bed sides to that length. 13) Drop your boards in. 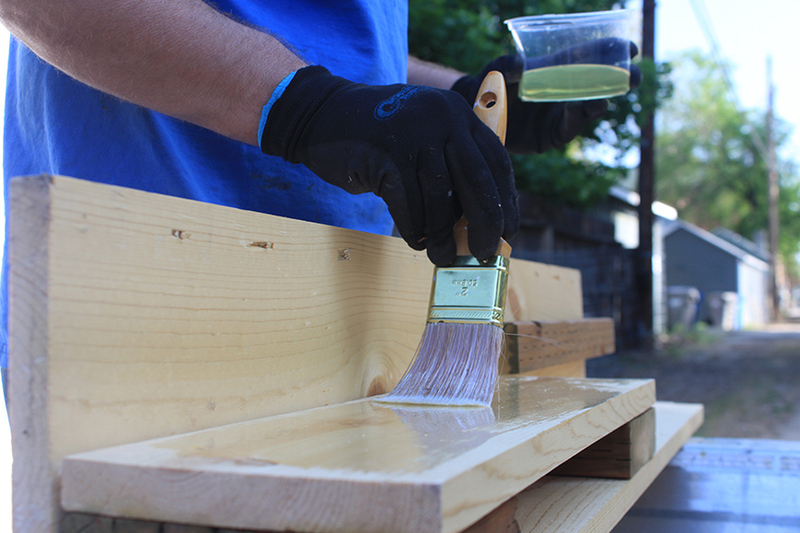 Even though we used treated lumber, we lined them all with plastic with the plastic extended below the bottom of the bottom board to keep dirt and water from coming out from underneath. 14) Fill garden bed with soil up to 3˝ above top of bed as soil will compact and settle. 15) Use bottle open to open a icy cold beer and step back to admire your masterpiece.